China has a variety of cultural tourist sites, especially historical ones like the Great Wall, the Forbidden City, and the Temple of Heaven. In terms of theme parks, few have succeeded in impressing the natives, not to mention the foreigners, with their unique characteristics. In 2015, the new Disney Park in Shanghai is expected by many to raise a big challenge to its Chinese counterparts. Disney’s new project in Shanghai is aimed at combining Disney stories and their characters with attractions that are specifically designed for Chinese customers, according to Robert A. Iger, president and CEO of the Walt Disney Company. China’s historical sites have won worldwide recognition. Other than the rich heritage, limited efforts have been spent on creative market exploration. There has never been a single world class tourism brand established among the over 10,000 attractions. For native theme parks, it is an absolute illusion to parallel the popularity of Disney parks all around the world. The first Chinese theme park, Splendid China in Shenzhen, was completed in 1989. The twenty years since then have seen all sorts of theme parks spring up across the country, far more than the five-member Disney family around the world. The prevailing quantity advantage won’t help much in the upcoming contest. A lack of creativity will give the native parks a direct strike. 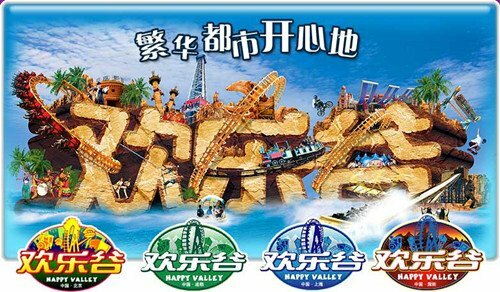 "Among all Chinese theme parks, the Happy Valley series is closest to the Disney notion in planning," said Liu Pingyun, independent producer of Shanghai tourist attraction marketing proposals. Despite the similarity, "Happy Valley can’t even compete with the first Disney Park from 1955 in terms of innovative planning," added Liu. In other fields such as brand promotion and cultural renovation, native theme parks have fallen even further behind. "Native parks can’t follow the steps of Disney, which will only trap them in a passive situation." Statistics show that by 2009, only 25% of all Chinese theme parks managed to profit, and 45% barely broke even. A report by the Boston Consulting Group estimated that China will surpass Japan as the second largest tourism market in 2013. Tourism revenues from the domestic market are speculated to grow at 16% per year and reach a value of 3.9 trillion yuan in 2020, noting a doubled recreational tourism income. 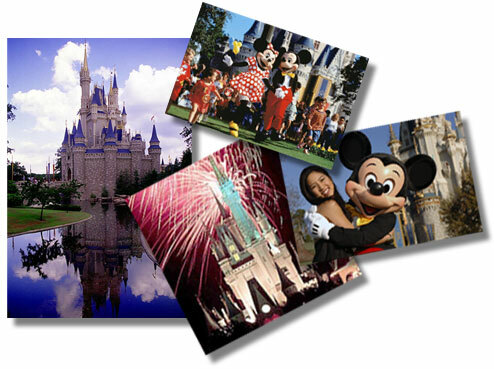 Opportunities are even for Chinese theme parks and the Shanghai Disney Park. After the first three years, the latter is expecting around 10 million visitors every year, based on the current annual data of over 100 million travelers in Shanghai. Quoting Dr. Yang Zhengtai of Fudan University, the whole Yantze Delta will benefit from tourism further contributed to by the high-speed railways. The twenty-year history of Chinese theme parks has achieved certain progress. For instance, the Songcheng Theme Park in Hangzhou is special for performance shows; Happy Valley in Shenzhen is attractive for its systematic hotel, park, and exhibition hall services. The right strategy for Chinese theme parks is to stick to their current route and develop novel ideas to draw the public attention, on the basis of a more affordable price range than the Disney Park. Disney has particularly designed a resort "that reflects everything we have learned from our various parks around the world," said Iger. "China is one of the most dynamic, exciting, and important countries in the world, and this approval marks a very significant milestone for the Walt Disney Company in mainland China." The unprecedented trial proved Disney’s ambition in conquering the Chinese market and establishing itself as a real champion among world theme parks. "Authentically Disney, but distinctly Chinese," Iger described the resort in an interview. "There will certainly be familiar Disney elements, but it will also be quite different from the moment that you walk through the gates." It will be necessary for local Chinese theme parks to distinguish their own features and play the native culture card to rival the foreign competitor. The Hengdian World Studios, known as the "Chinese Hollywood," explored a volcano program combining the ancient Chinese concept of yin-yang and five elements. "Application of Chinese cultural elements into business operation is the best illustration of the culture itself," said Jiang Zuyun, planning manager at the Hengdian World Studios.